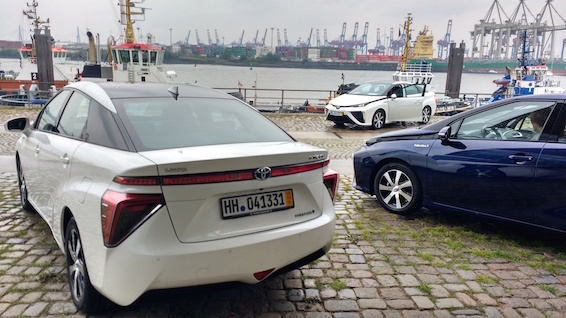 Hamburg is a city committed to an ambitious environmental agenda. Wind farms power homes and already aid the city’s production of hydrogen fuel. 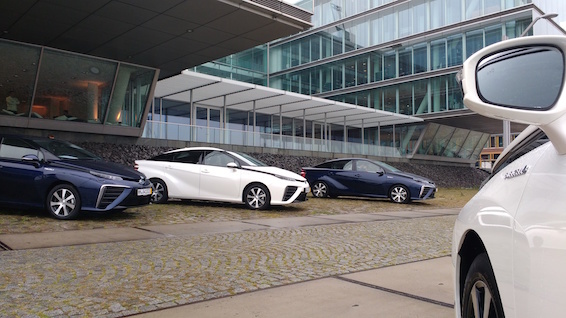 This and Hamburg’s four operational hydrogen refuelling stations made it the ideal location to launch Toyota Mirai in Europe. 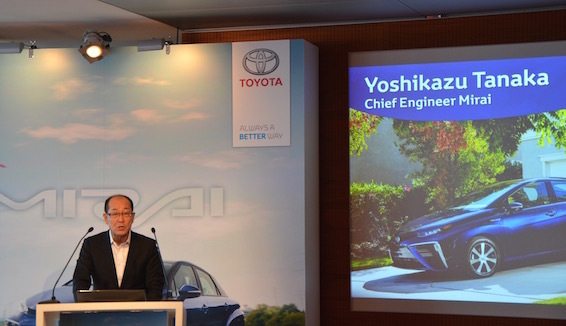 The launch allowed us to introduce Mirai to the press, have a lively Q&A session with its Chief Engineer Yoshikazu Tanaka and importantly let the cars loose on the roads – where they were more than capable of proving their relevance and appeal. 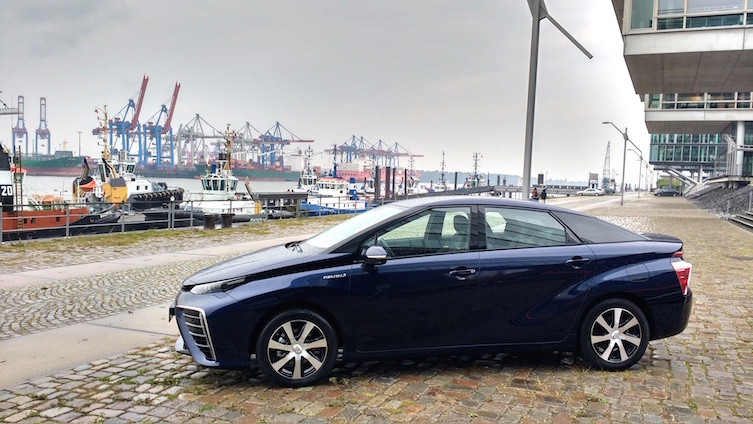 Toyota has been developing fuel cell technology for 20 years and Mirai represents the culmination of this work and a greater technological step forward than even the original Prius made in 1997. 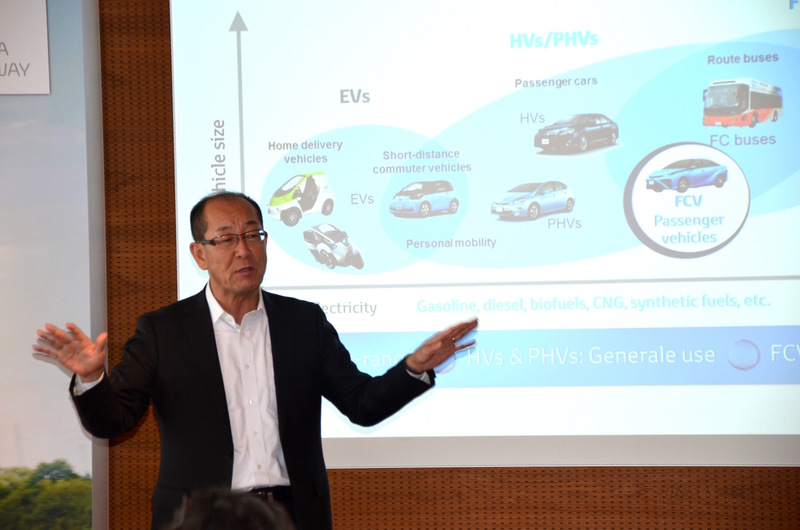 Q: Why is Toyota introducing Mirai right now? Q: Is Mirai just a ‘bridging technology’ for the here and now? Q: Would you open the patents to competitors? Q: Is Mirai’s hydrogen tank safe in a crash? After the presentation came the much-anticipated test drive. 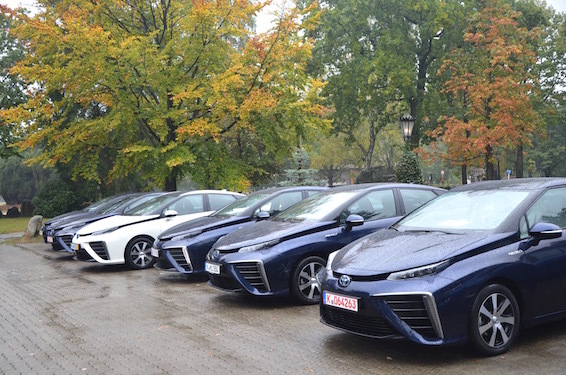 Drivers were heading off barely an instant after getting in Mirai for the very first time, proving both the ergonomic nature of the interior and the readiness of this technology for today’s roads. The UK journalists finished the day full of praise for Mirai. Superior ride comfort and its noise-reduced cabin were big draws. The bonus of immediate torque delivery from the FC stack and battery working in unison create a smooth and fun driving experience unlike any other.